Jeep has been a leader in the crossover vehicle segment since the first day it entered the market many decades ago. For those drivers who want a midsize SUV that is comfortable playing in the mud, while also turning heads on the road, the 2016 Jeep Cherokee is the perfect mix of power and elegance, while still being sharp enough to take to the office during the week. When you are ready to experience the 2016 Cherokee firsthand, stop by Lakeland Dodge where we serve buyers from around the Wesley Chapel, Tampa, Brandon, Wauchula, Brooksville, Orlando, St.Cloud, Kissimmee, and Winter Haven area with one of the best teams of customer service experts ready to meet your car-buying needs. We are available Monday through Saturday, so be sure to schedule a test drive today! The 2016 Cherokee's interior is quite impressive with high-quality materials and leathers, a sleek dashboard design with impressive trims and accents. The cabin includes the Uconnect 8.4-inch touchscreen infotainment system that incorporates smartphone technology, Bluetooth® and hands-free capabilities into the driving experience to make texting, calling or using a navigation system app a breeze. Overall, the cabin offers a solid amount of front and back passenger space, comfortable seating with reclining capabilities, and an excellent cargo area. The 2016 Cherokee provides one of the best interiors of any SUV in its segments and buyers might never want to leave once they experience it firsthand at Lakeland Dodge. The 2016 Cherokee is an SUV that does it all, and when you are ready to grab life by the horns, there may be no better vehicle to help search for that next adventure than in a Jeep. Performance wise the Cherokee lives up to anything in its class or segment and manages to be one of the most exceptional SUVs on the road today. 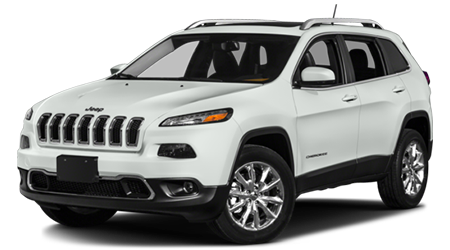 At Lakeland Dodge, our dealership carries a large inventory of all things Jeep, including the 2016 Cherokee, so when you are ready to experience it for yourself, visit us at 2335 Highway 98 N, Lakeland, FL 33805. Lakeland Dodge remains one of the premier locations to purchase a Jeep for anyone near Wesley Chapel, Tampa, Brandon, Wauchula, Brooksville, Orlando, St.Cloud, Kissimmee, and Winter Haven.